Foundation Deutsche Stiftung Kindergeld - Buddy Bear Help e.V. 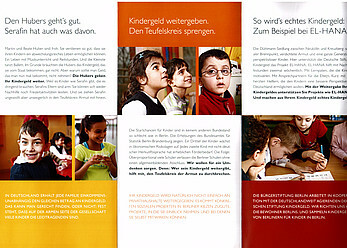 Together with the Bürgerstiftung Berlin, the Buddy Bear Help e.V. campaigns for the participation of more families in the initiative of the Deutsche Stiftung Kindergeld. The idea is to motivate parents who do not actually need the state-funded child benefits for the education of their children to pass this money on to projects supporting children who do not receive the necessary support from their parents. 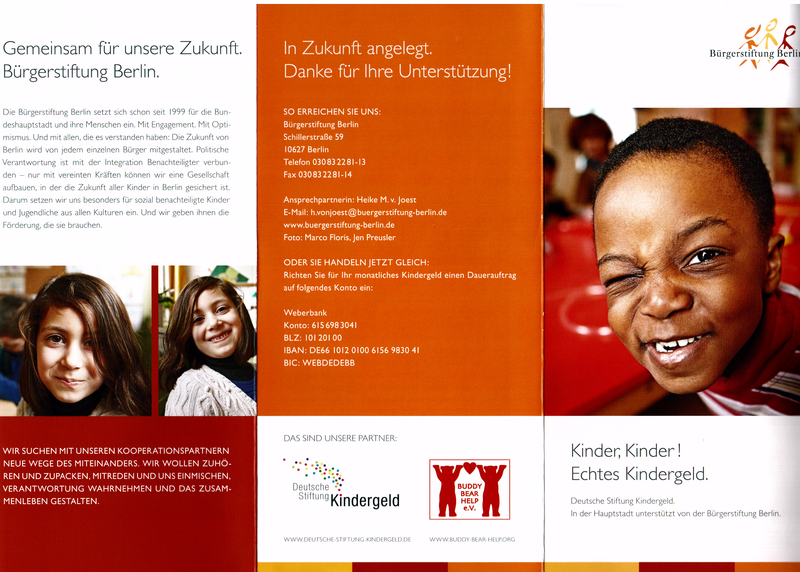 Currently, we mainly support a learning mentor project in a deprived area of Berlin-Neukölln.